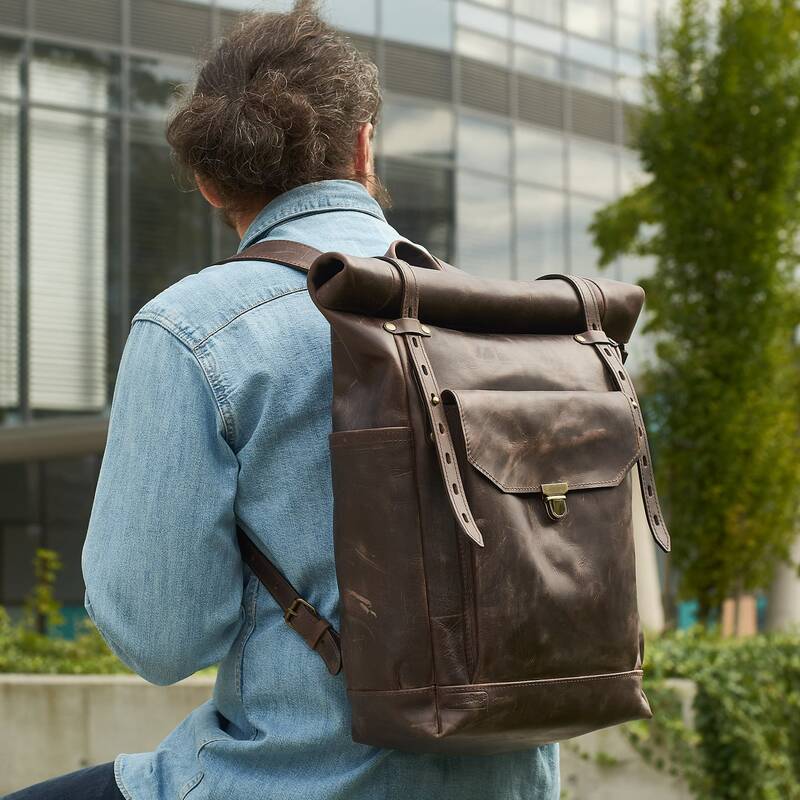 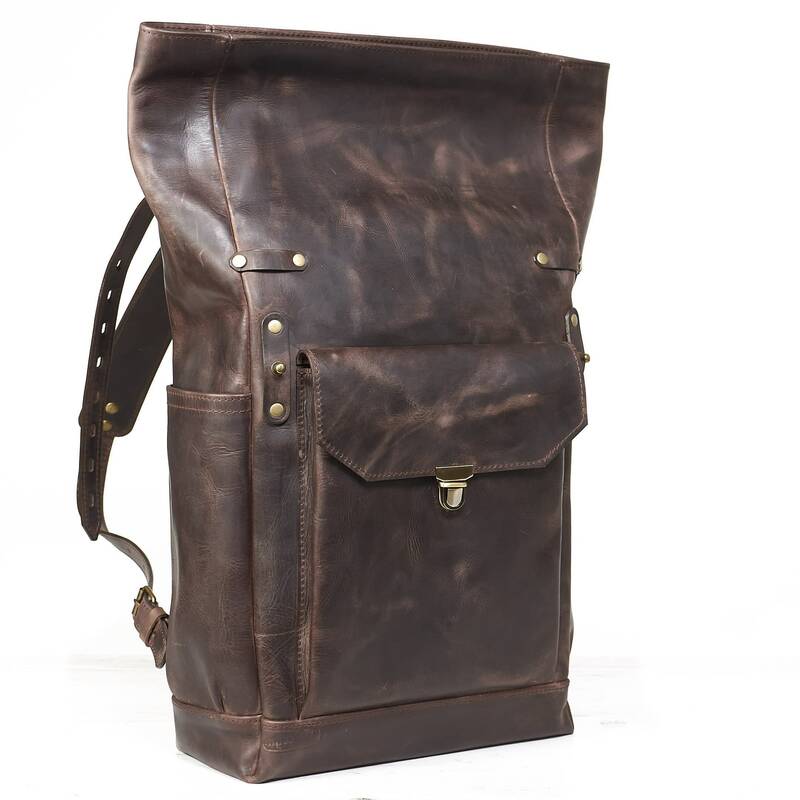 Mens leather backpack. 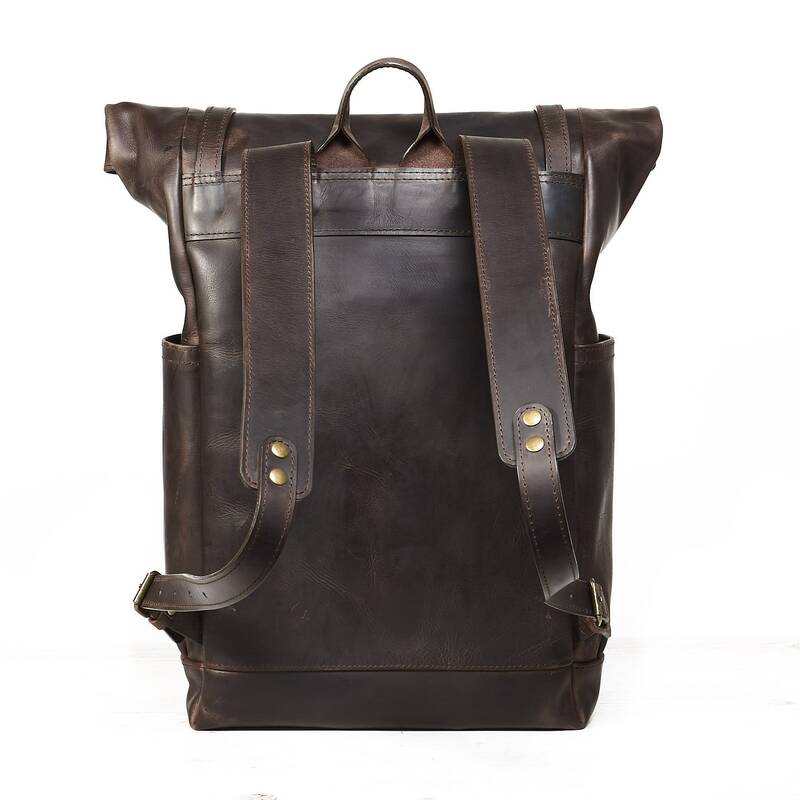 Roll top rucksack for 15 laptop. 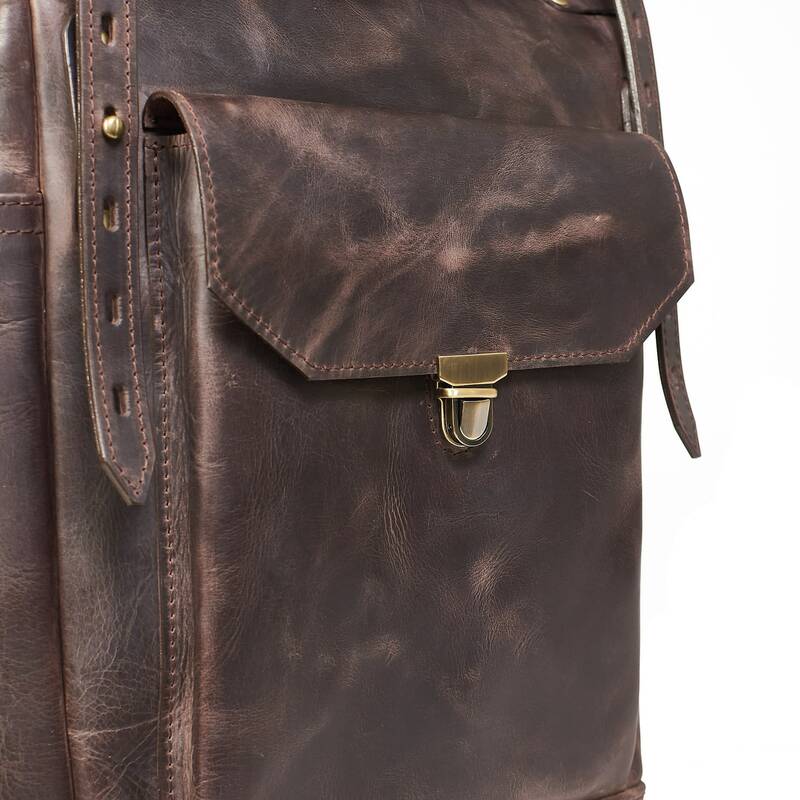 Mens leather backpack. 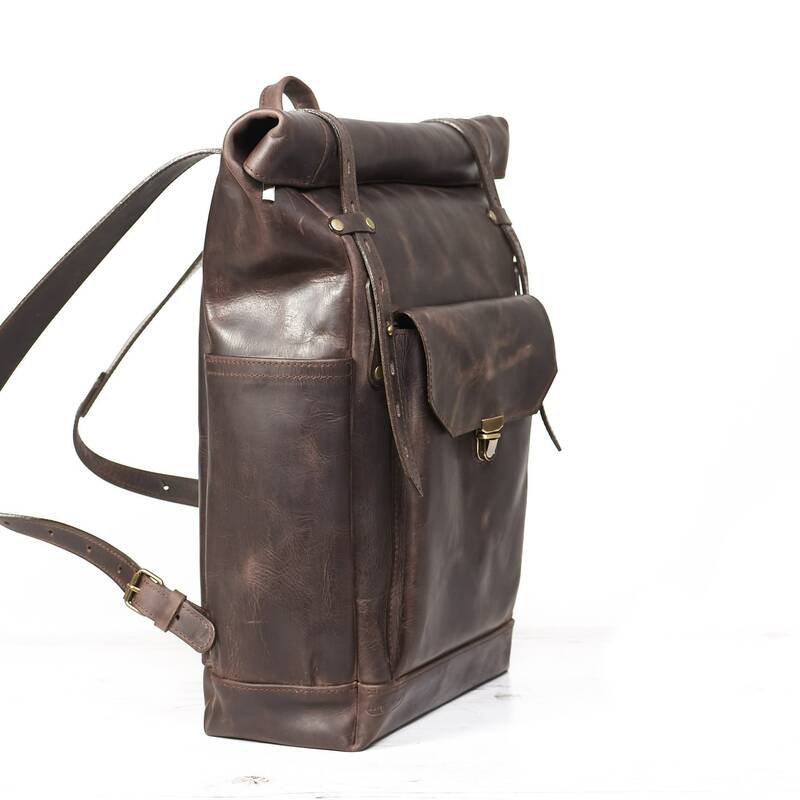 Roll top rucksack for 15" laptop. 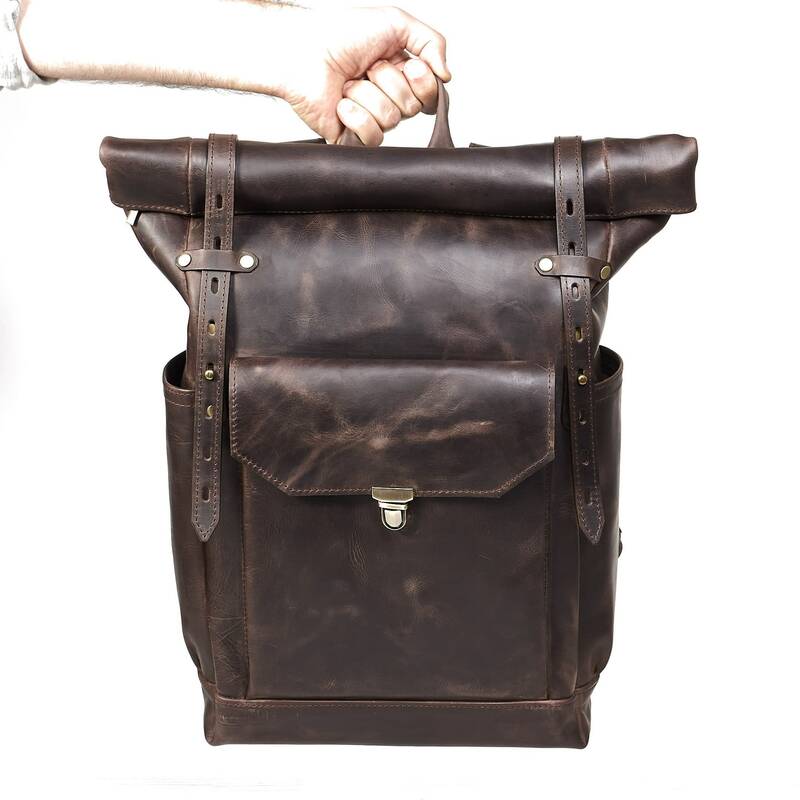 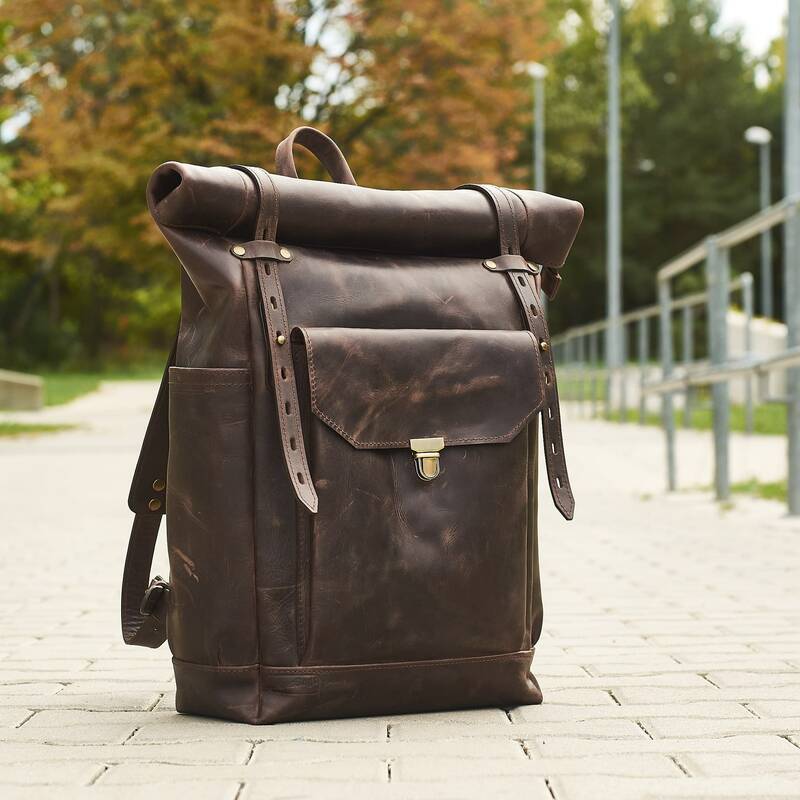 Beautiful and unique roll top leather backpack for daily use.